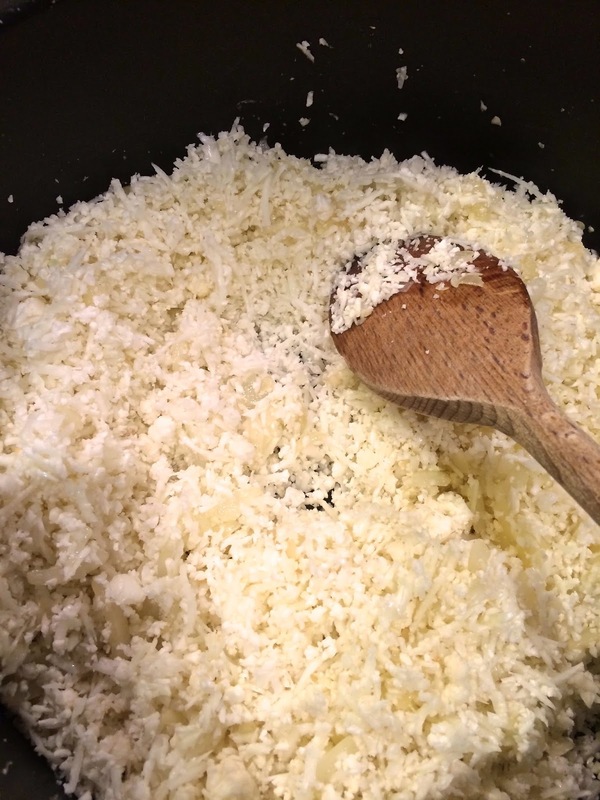 Ok, so we know that it's only been a few days since we posted our last cauliflower recipe. We're also aware that it's only a couple of weeks since we tweeted about cauliflower-topped Paleo Shepherd's Pie. 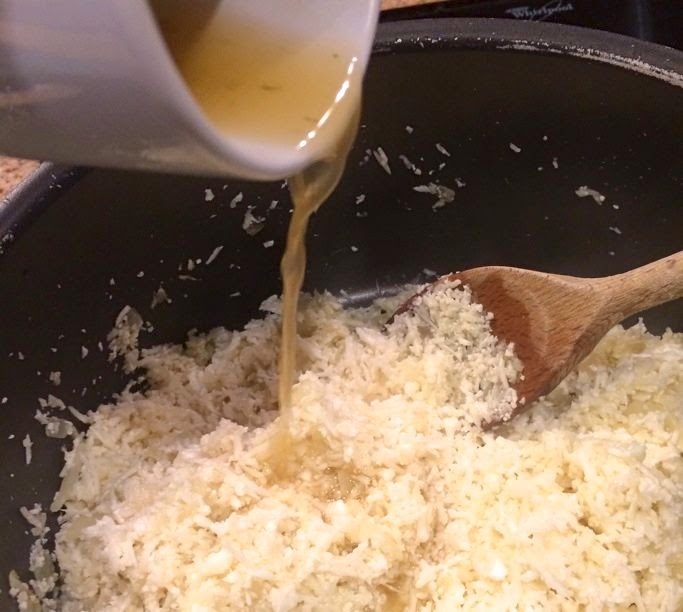 And, we know that we're sort of bordering on being able to rename the blog The Cauliflower Chronicles, but this recipe is just too great not to share. 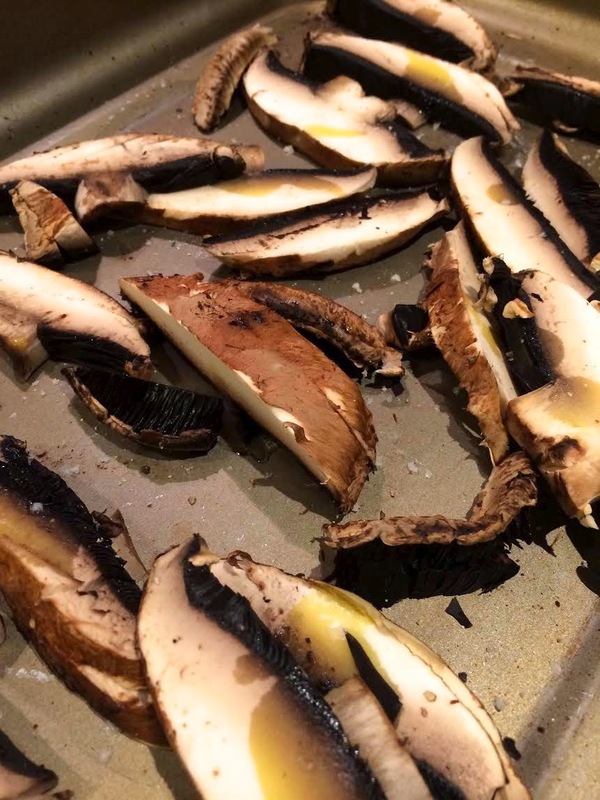 Preheat the oven to 180 C, whack your chopped mushrooms in a baking tray and sprinkle with salt and pepper and a drizzle of olive oil. Pop in to bake. 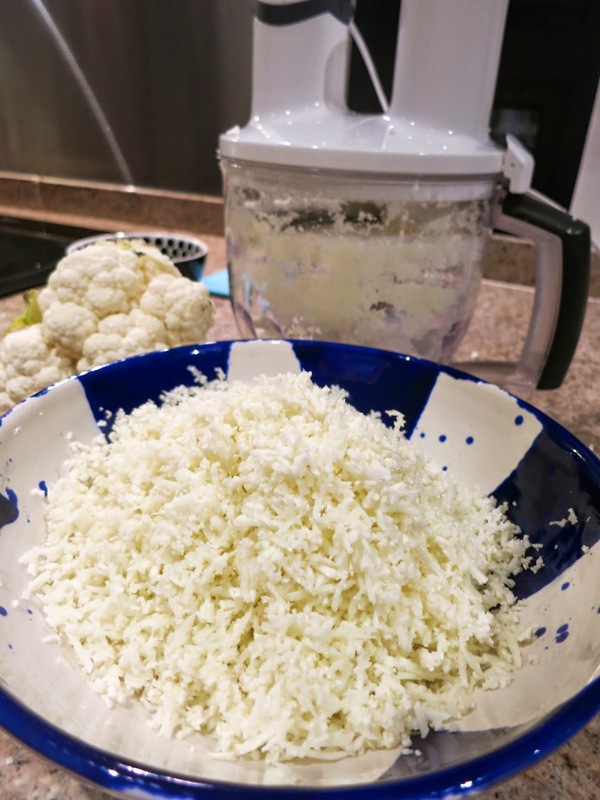 While your mushrooms are cooking, break the cauliflower into florets and put through a blender or grate until you get a fine rice-like consistency. Heat the a little olive oil in a pan and fry off the onions and garlic for a couple of minutes until they're transparent and softening. Throw in the cauliflower rice and cook for another couple of minutes. Dissolve the stock cube in the cup of boiling water and pour a quarter in with the rice. Stir and let it absorb for a minute. Repeat with the next couple of spoonfuls of stock until the rice is becoming tender and losing some of its bite (not too much though, you don't want mush). Add it the white wine vinegar and the last of the stock before cooking down for a final minute. 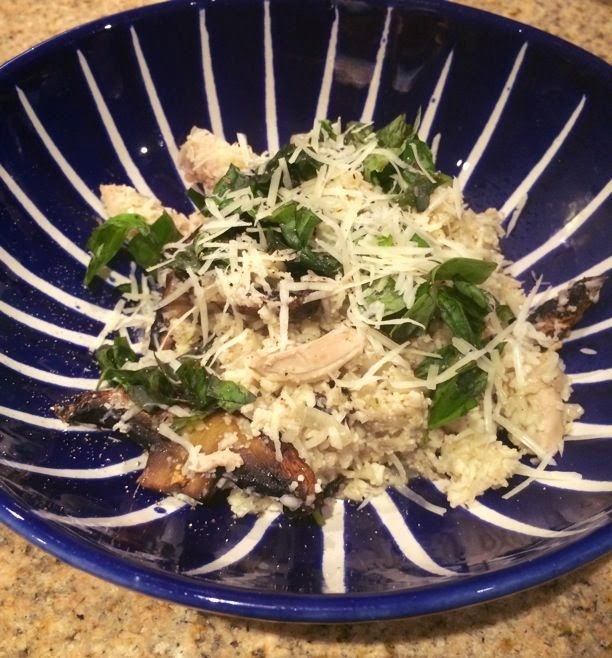 Take the mushrooms out of the oven and stir into the risotto together with the shredded chicken, parmesan (if you're using it) and salt and pepper to taste. Top with a sprinkle of parmesan, a bit of chopped basil and, if you're feeling very naughty, a drizzle of truffle oil. Enjoy, with a glass of wine and a good boxset. 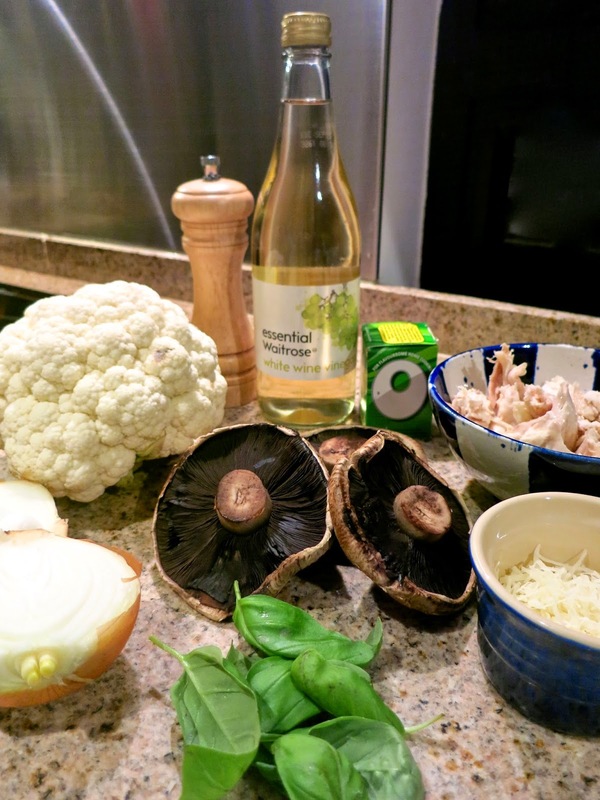 Cauli-tastic! Looks lovely - right up my paleo street.